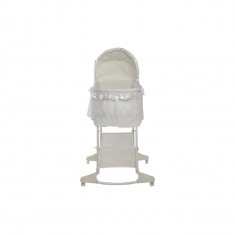 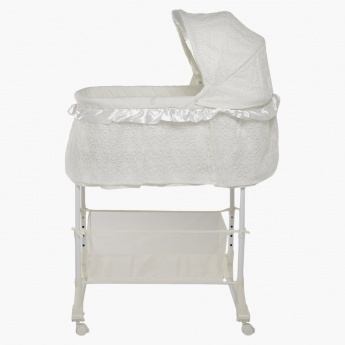 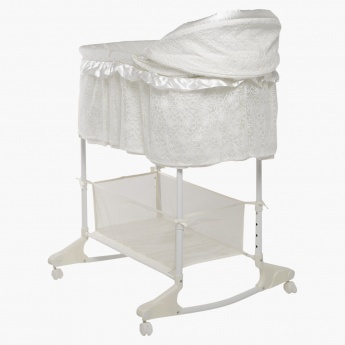 Ideal for lending your little one a sound and comfortable sleep, this bassinet is just what you need to pick. 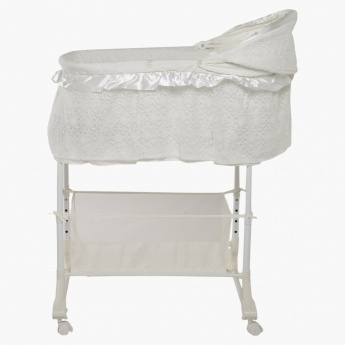 Featuring four smooth wheels, this piece can be moved around easily. 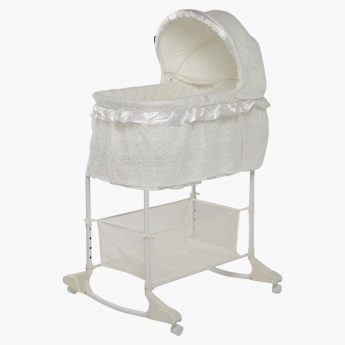 The floral lace pattern and frill add to its beautiful appeal.